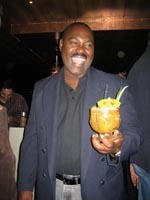 I was of course going to London for the UK Rum Fest 2008, the only rum festival held in Europe which is organised by the UK Rum Ambassador, Ian Burrell, with the help of IPBartenders. The flight to Stockholm was only 35 minutes and my ears had barely adjusted to the pressure change when the plane started its descent. From Stockholm it was a 2 hour flight to the London City Airport, where I made my way to the nearest underground station where I carried my luggage through the sweaty tunnels while constantly being reminded to "keep to the left" and to "mind the gap." 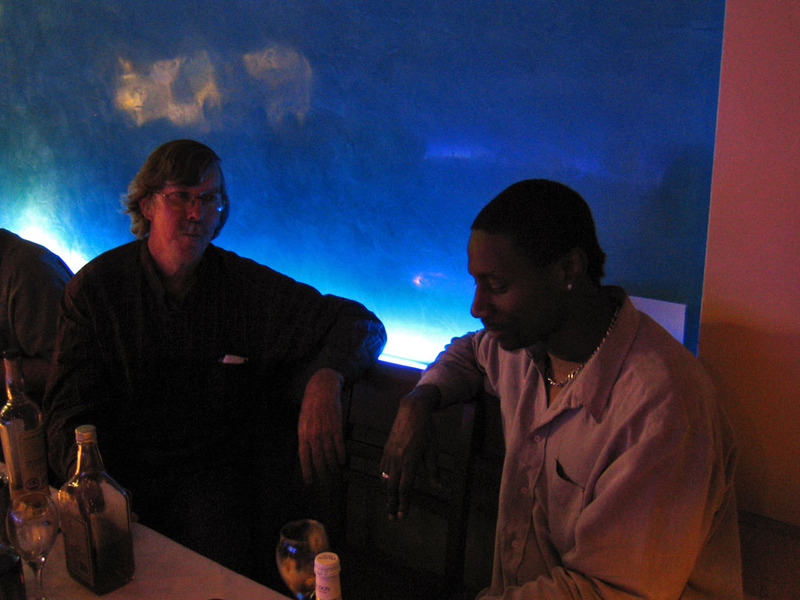 Having arrived in London and spent a considerable amount of time walking through a museum, that has a huge collection of dinosaur bones and rocks, I received a phone call from Paul McFadyen from IPBartenders who welcomed me to the city and informed me that I'd been invited to a Caribbean dinner and rum party, hosted by Ian Burrell, at Cotton's later that evening. Of course, apart from the fact it would have been plain rude to ignore an invitation like that, it was the perfect opportunity to meet all the other people with whom I'd be scouring the city bars with, during the weekend. The first person I spotted, as I entered the dark bar, was Edward Hamilton who was talking to Ian Williams and around them I saw Robert Burr, Robert Burr Junior and Ian Burrell who was busy running the restaurant and making sure everything went smoothly. Having looked around for a while, I approached Edward Hamilton and introduced myself using my real name, which unsurprisingly he did not recognize before I reintroduced myself as Count Silvio from Refined Vices. Once he knew who I was, he jokingly said he had expected me to be blonde and much taller and Vikingesque, because I’m from Finland. 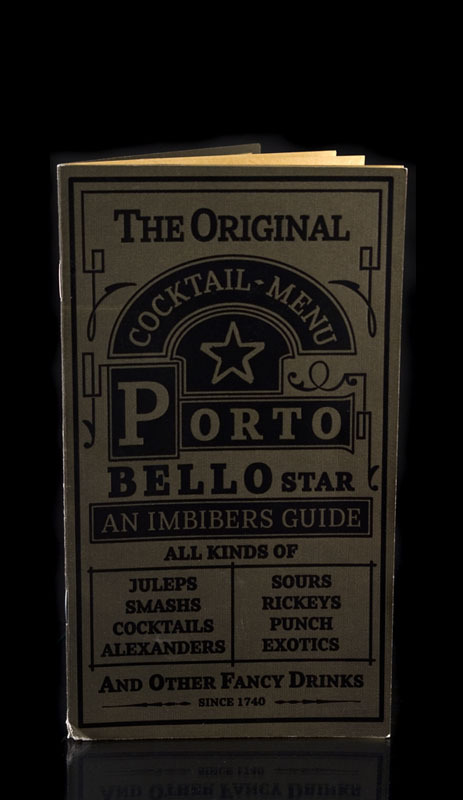 After chatting about boats and rum for a while with Ian Williams and Edward Hamilton, Edward courteously offered to make me a Ti-Punch which I politely accepted - I've never turned down an offer of free booze yet and cursed be the day that I will! With the punch in my hand I was introduced to some more people and after swapping business cards with them, we moved to a reserved table downstairs, for the Caribbean dinner, where I had an excellent mixed meat platter that consisted of Buffalo wings, Jerk pork ribs, jerk chicken pieces, Caribbean sausage, lamb cutlet, plantain, and rice ‘n’ peas. After dinner, Ian Burrell brought an assortment of various exotic rums and chocolate to the table that I hadn’t had the opportunity to try before but I was more than willing to change that. As we enjoyed the subtle flavours of the drinks we continued our conversation about what else but rum. After such a nice evening and a warm welcome to London, I had a good feeling about things to come. The following night I was sitting in the lobby of the Royal Norfolk Hotel, awaiting for the arrival of Matthew Robold, otherwise known as RumDood, a fellow rum fanatic who had just arrived in London that morning. To pass the time, I was examining a map of London and trying to figure out which was the best way to get to IPBartenders, where a private party would be held for all the members of Ministry of Rum and Refined Vices. After a while, I looked up to see a person walking downstairs wearing a straw hat that could only belong to RumDood himself. We exchanged greetings and business cards and quickly decided to forget about the maps and just take a cab to the party where we'd meet most of the people that I had already met at the Caribbean dinner on Thursday night. Having arrived to the venue we entered the building and walked through several empty and silent corridors empty of people, which made us wonder whether we had come to the right place. 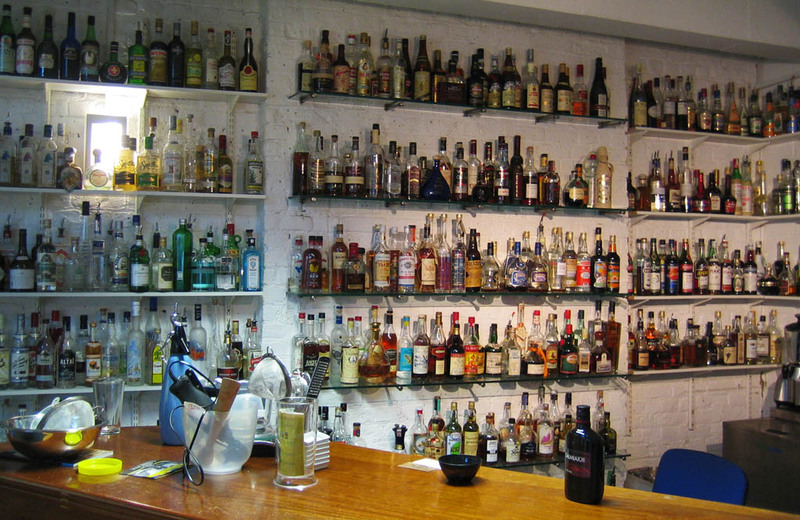 We soon found our way through the door to IPBartenders, where we were greeted by Paul MacFadyen, who was standing behind the bar and in front of a huge wall of rum. Apparently we were the first to arrive, as no-one else had arrived yet, but as the saying goes - the early bird catches the worm - and we proved this was the case as Paul made us very welcome by allowing us to sample the West Eleven Cocktails cocktail range, created by Ben Reed of IPBartenders. 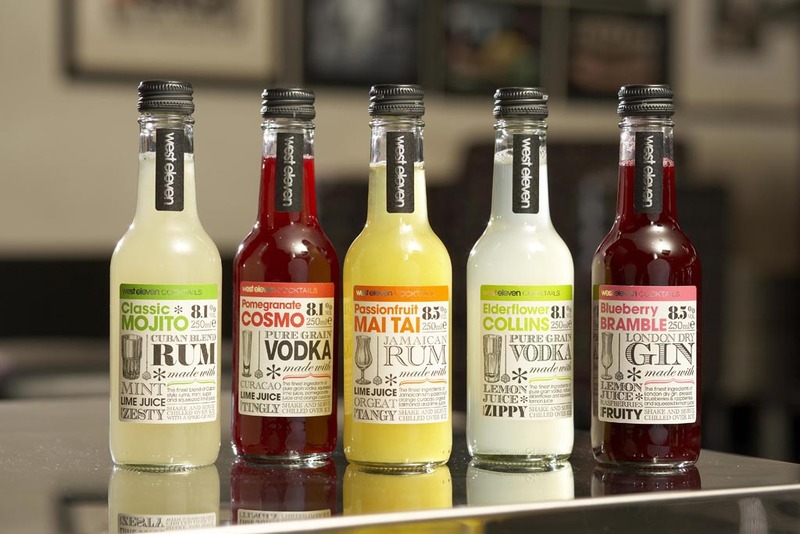 The range consists of the Elderflower Collins (my favourite), the Passionfruit Mai Tai, the Blueberry Bramble, the Classic Mojito and the Pomegranate Cosmo. The West Eleven cocktails are very fresh and very natural flavoured and in my opinion West Eleven has succeeded extremely well in their goal, which was to create a series of classic cocktails for people who want a great drink but not necessarily in a bar environment. 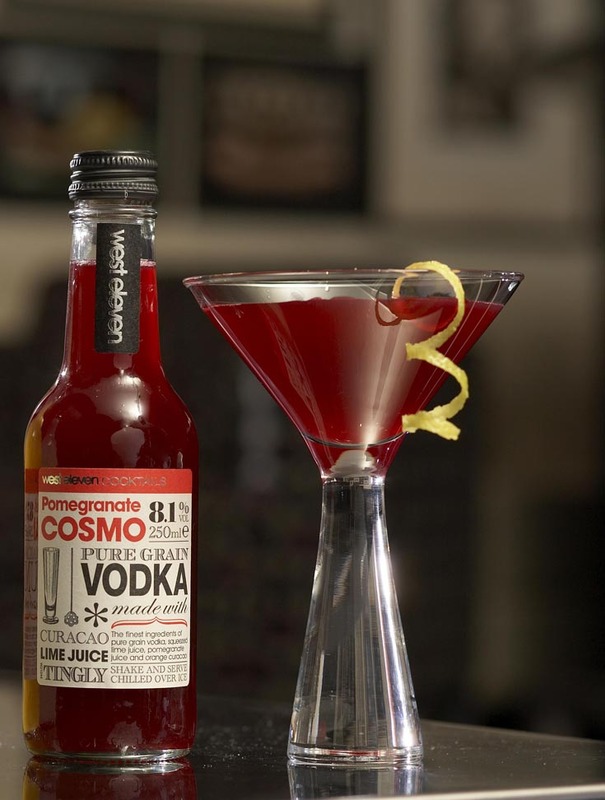 Forget about Bacardi Breezers and refresh yourself with a West Eleven. We were then introduced to a series of various exotic rums including a certain 17 year old Wray & Nephew Over Proof Rum originally used to make exquisite Mai-Tai's at Trader Vic’s during the golden tiki era. The Mai-Tai became so popular that the supply of the 17 year old Wray & Nephew rum was soon exhausted and finding the remaining bottles became extremely difficult. 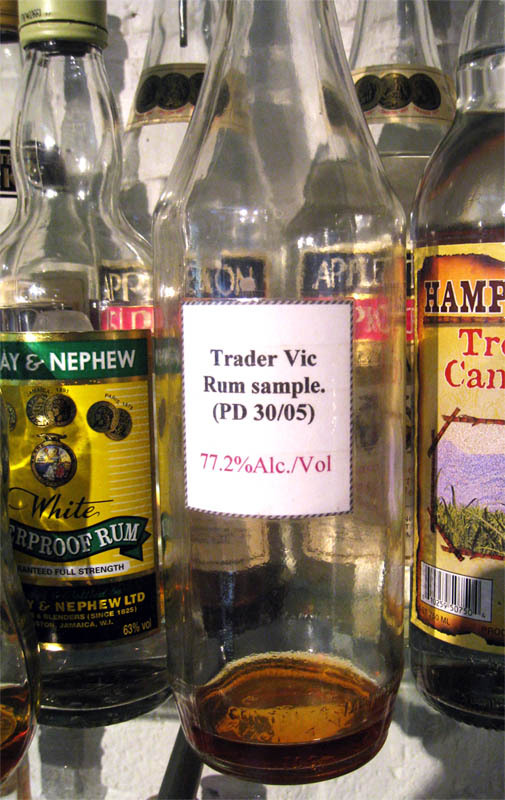 The last few bottles were given to Trader Vic and to select bartenders across the UK, though some bottles may still exist deep in the warehouse of Wray & Nephew. The bottle at IPB, from which we were graciously offered a sample, is one of the last few and extremely rare bottles remaining today. How was it you ask? I trust you to believe me, when I say it was extraordinarily exquisite. After making sure there was not a drop of this precious nectar left in the glass, the rest of the guests arrived and the festivities officially started. We were invited to help ourselves with any of the rum on the Great Wall O' Rum and since we didn't want to offend our good host, we did just as requested. I had a really nice time talking about rum, whisky and cocktails with the other guests, all of whom had an almost encyclopaedic knowledge of the drinks we were sampling. I don't believe I saw anyone with an empty glass that evening. I even had the pleasure to exchange a few words with Sukhinder Singh from Whisky Exchange as well as Rikki Brodrick from Trailer Happiness. Later on a few pizzas were ordered, which came as a welcome surprise, as it was just what I was craving, after indulging in the fine rums and whiskies available at the party all night. The night was still young however and we then moved location to a tiki-bar called Trailer Happiness where the indulging continued in form of a Zombie Volcano, warm Grog and other exotic concoctions. If you’d like to see a video of the volcano, go to RumDood’s site and check it out. Among these delicacies I had the chance to try a real treat, offered to me by Chesterfield Browne, the International Brand Champion & Mixologist for Mount Gay, who had joined our party at Trailer Happiness. It was, of course, Mount Gay Tricentennial, which is a very exclusive rum limited to only 3000 bottles that were released to celebrate the 300th anniversary of Mount Gay Distilleries. 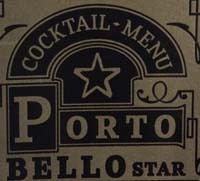 Shortly after Trailer Happiness we moved to our final destination for the evening, the Portobello Star, which was quite crowded. 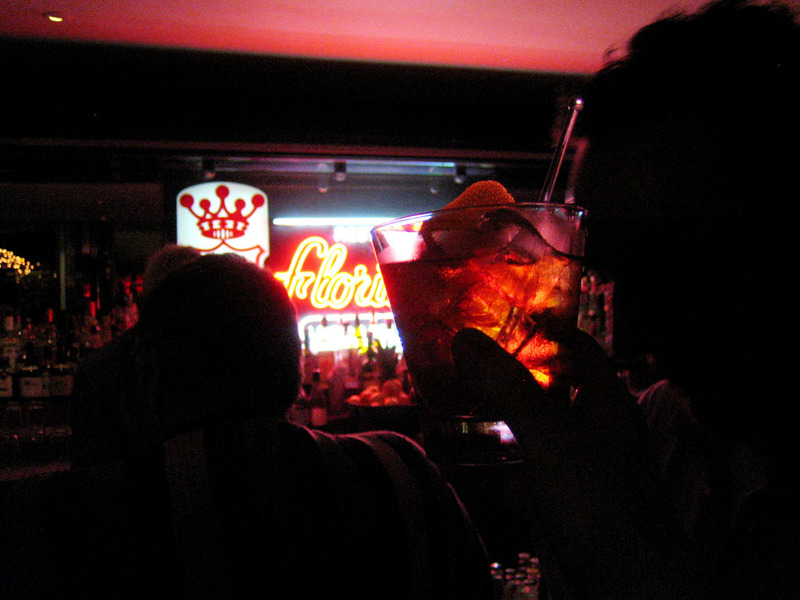 But we managed to get in and we got our drinks pretty fast too - Rikki proceeded to the bar and started ordering drinks for our group and he asked me what I would like to have but at that point my imagination had given up completely and I just asked for a good old whisky. He gave me a margarita instead, which I must admit, was a good call because it was the best damn Margarita I've ever had! Cheers mate! Despite the crowd, Matthew, Edward and I managed to find a table in the corner, which was only occupied by a local couple. We made ourselves comfortable and settled in for the night intent on enjoying our conversations and drinks. During the night people from our party mysteriously started disappearing, until Matthew and I realized we were the only ones left at the bar and that’s when they turned on the lights. 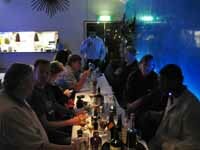 This marked the end of the Friday night festivities and the beginning of a rum-fuelled weekend at the UK Rum Fest. Read all about it in Part II of Decadence & Debauchery in Foggy London Town.